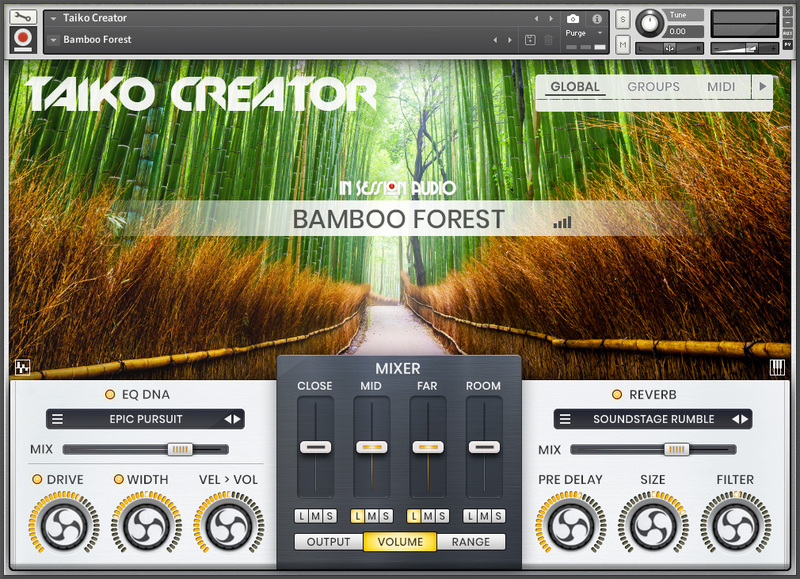 Create, control & generate your own Taiko sound. 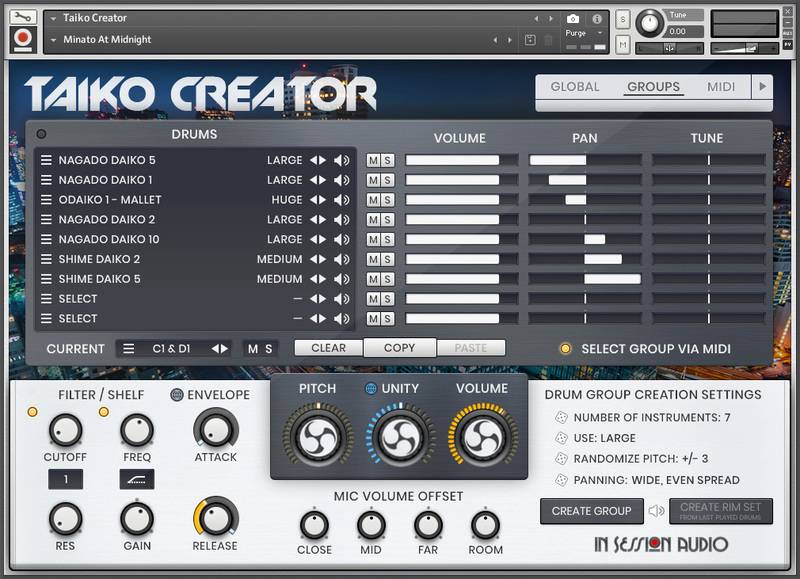 Huge, deep and powerful, Japanese taiko drums often underpin the music for epic movies across all genre. 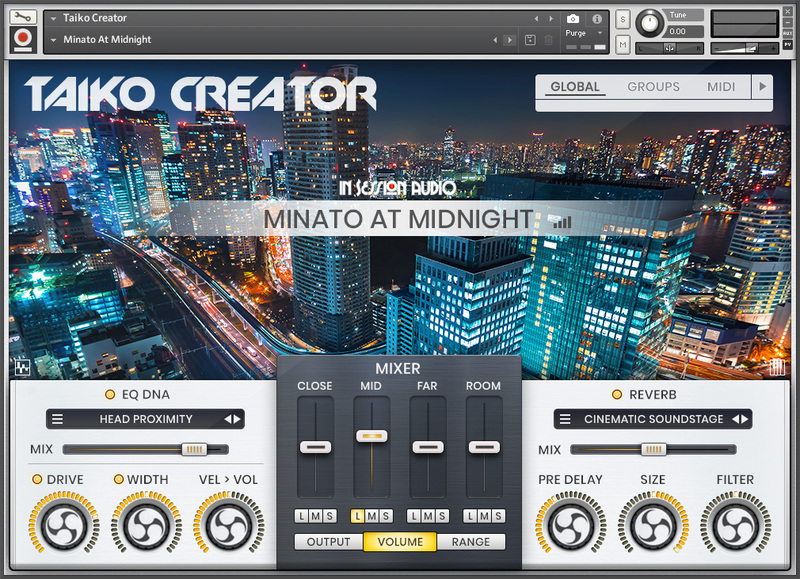 Taiko Creator is a virtual instrument sample library that produces “that sound” in a new and more powerful way. 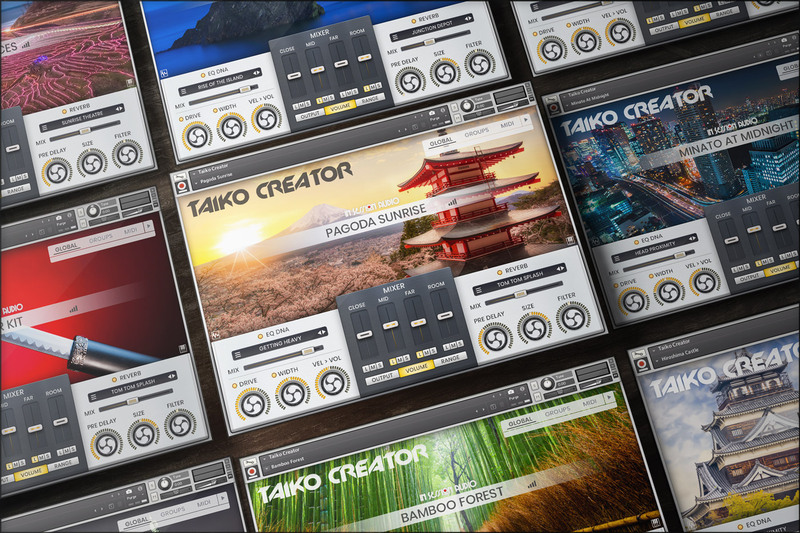 Where most libraries present limited variations, Taiko Creator allows you to create, control and generate multiple solo and ensemble groups of your own, all playable from a single interface. 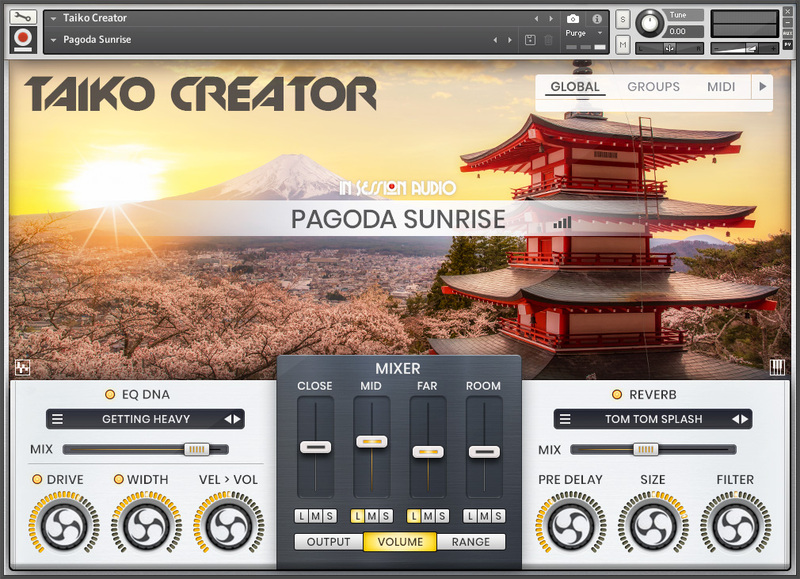 Featuring a purpose built engine with an innovative yet simple-to-use feature set, Taiko Creator is a match for anyone producing cinematic percussion tracks. 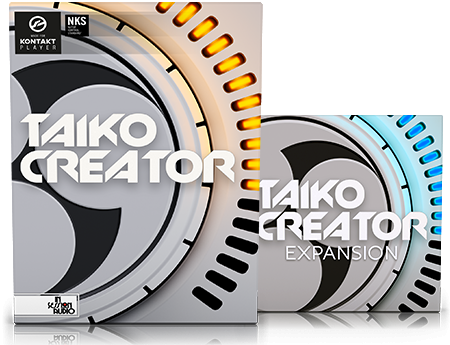 Every Taiko Creator owner receives access to the Video Manual. 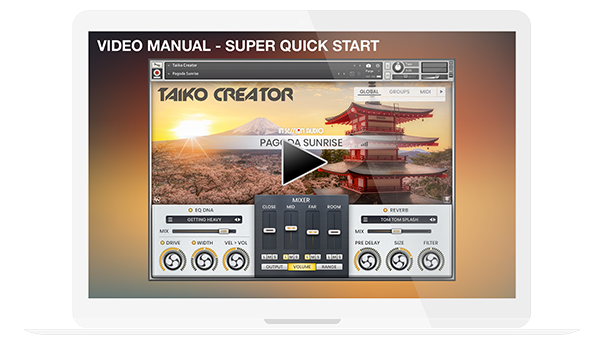 Gain a complete working knowledge of Taiko Creator in about 15 minutes through a series of short, easy to navigate videos. 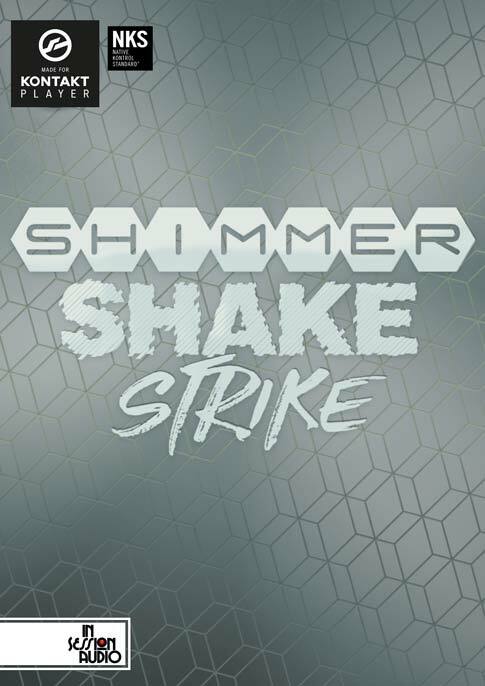 Includes a SUPER QUICK START video. 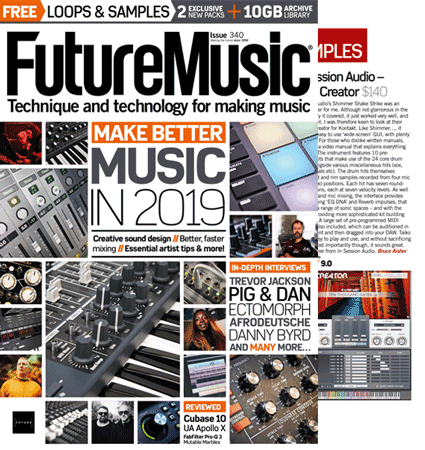 An in-depth PDF Manual is also available. 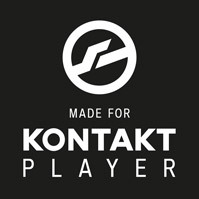 Native Kontrol Standard (NKS) is Native Instruments’ extended plug-in format. 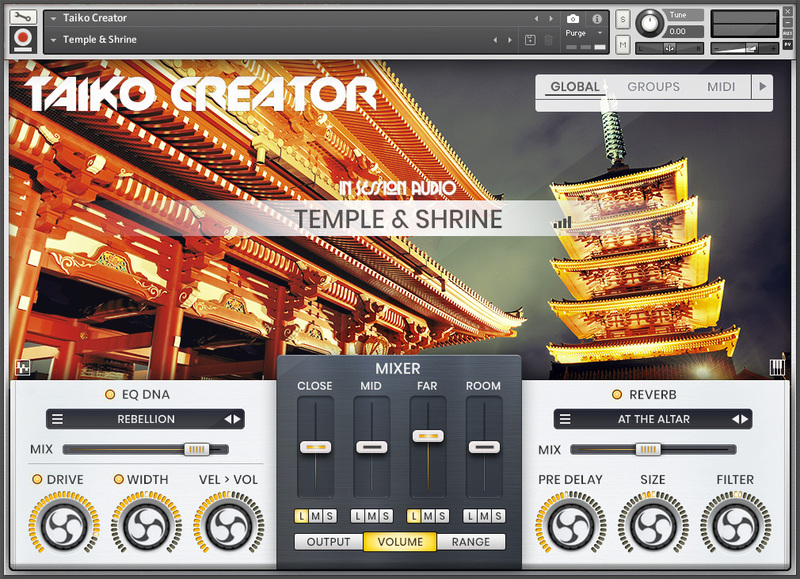 NKS allows for seamless interaction between TAIKO CREATOR and KOMPLETE KONTROL and MASCHINE hardware. 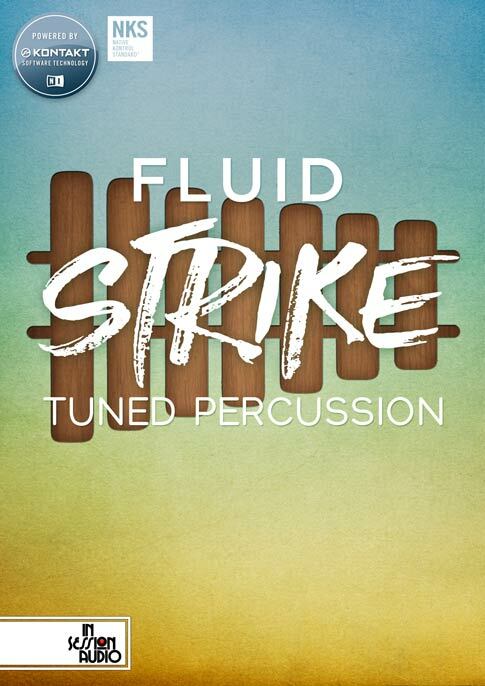 VARIATION: All drum head hits feature seven variations at seven velocities; aka: 7×7 round-robin. 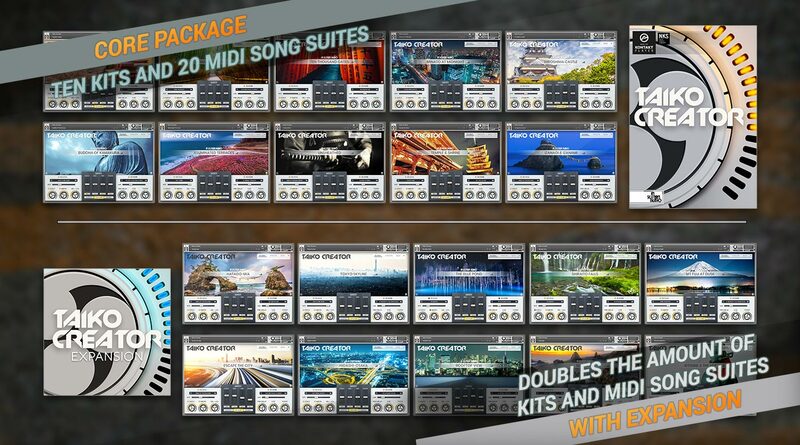 MIDI: 20 (Core) or 40 (Core & Expansion) “suites” that include intros, core parts, fills and endings. 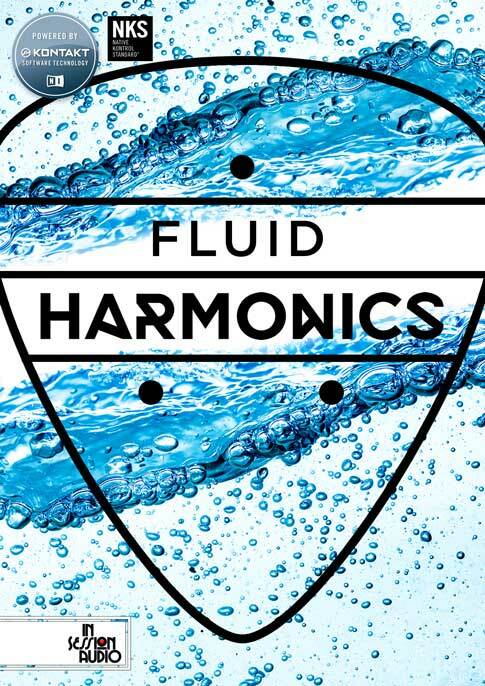 High and Low mix variations are also supplied. 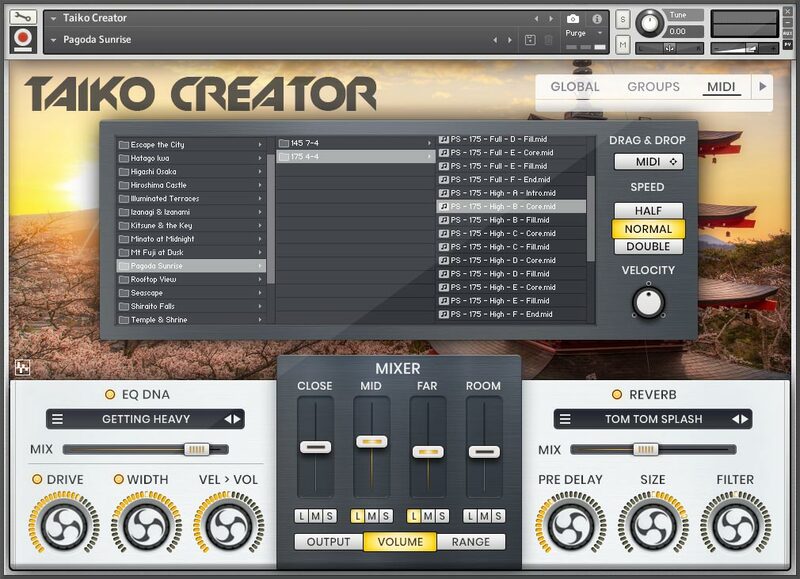 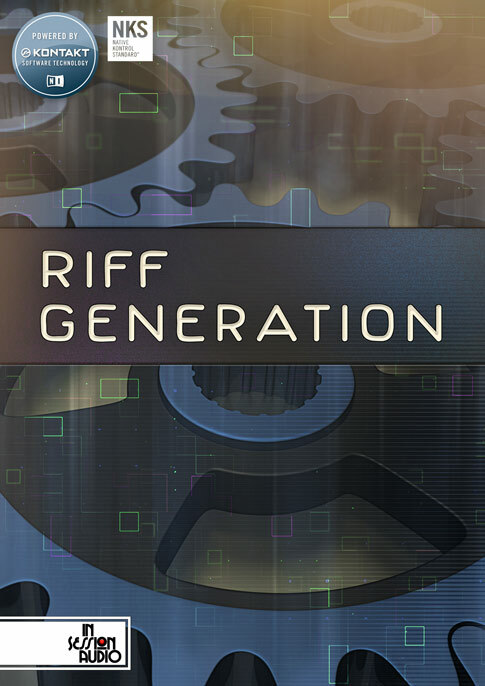 All parts can be auditioned from the interface and dragged-and-dropped directly to a DAW for user customization. 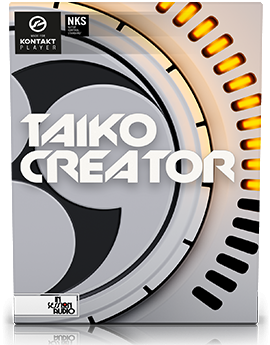 SOFTWARE: Taiko Creator runs in Kontakt or the free Kontakt Player 5.7.1 or higher (requires a minimum of Windows 7 or Mac OS 10.11). 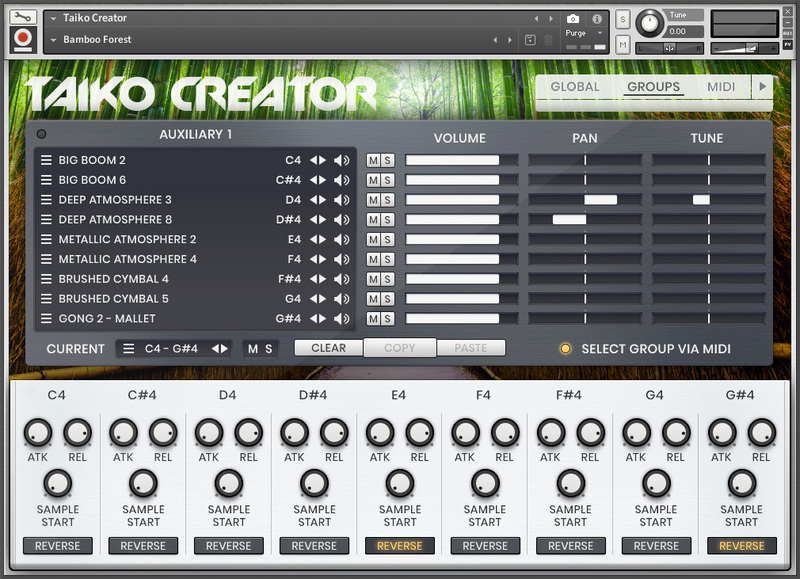 COMPUTER: Because Taiko Creator is capable of using many samples at once, we recommend users have a current and powerful computer for the best experience. 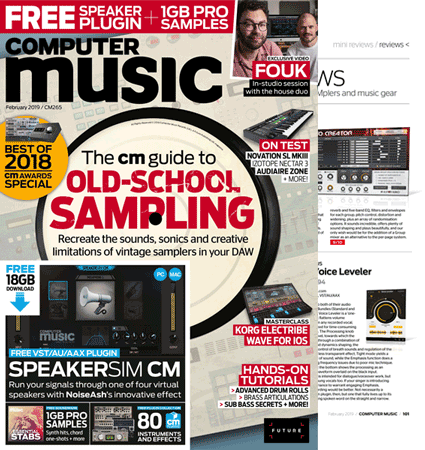 ACCESS: A stable internet connection for library download and activation is required.